WinHMS Professional is a complete Hotel Management Solution designed to computerize all essential activities of medium and large hotels and properties. The modules effectively cover the functional requirements of all key departments, assisting intuitive management and maximizing control. 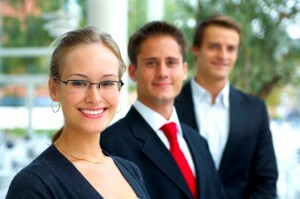 WinHMS Professional includes the features of WinHMS Express. Inventory: Multiple stores inventory, sub stores, material receipts against order, minimum and maximum stock levels,direct store support, expiry item inventory with cost center and department wise consumption controls. At the heart of the software suite is the WinHMS General Ledger which seamlessly integrates all modules to provide real time financial analysis for better control. Creating unlimited divisions for financial analysis, it drills down all the way to the original transaction level for scrutiny and audit. It supports coded and codeless ledger accounts, allows post dated cheques, multiple divisions, cost centres and currencies. It aids tax calculations, statutory statements and records. Other features include automated bank reconciliation, ratio and age analysis and a host of reports including cash and funds flow, giving you maximum financial control. WinHMS Purchase incorporates features for Purchase Order generation, amendment and printing of PO’s. The status of a PO can be verified at any time. Details of pending purchase orders and delayed deliveries provide for timely follow-up and corrective action. Reminders can be sent by e-mail for delayed deliveries. This module maintains the list of approved vendors from whom orders may be placed at agreed upon prices only. Bills are passed after validation against accepted quantities, valid purchase orders and purchase rates. WinHMS Material Management supports single or multiple stores operations. A variety of methods for valuing stock is supported – FIFO, LIFO, Weighted Average or Last Purchase Price. Stock can only be received subject to valid purchase orders and issued subject to valid indents. All issues are tagged with the department cost centre or event codes to facilitate accurate costing. It supports barcode scanners and printers for item receipts and issues. Inventory Control can be maintained to prevent overstocking or stock outs by operating on expiry date or reorder level. WinHMS provides a total HR Management tool that maintains comprehensive employee information and supports the payroll process. 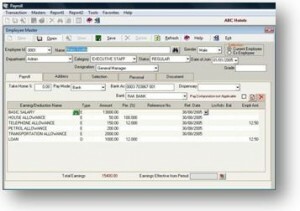 Timesheet, office and payroll computations can be done according to employee category and division. The package maintains employee history, earnings/deductions history, attendance, leave and travel benefits while maintaining the passport and visa status of employees. The success of banquets is based on proper planning. WinHMS Banquets manages provisional and confirmed bookings and supports detailed arrangements for the success of the event, from menu creation to hall arrangements or specialized services. Features include session wise chits printing, flexible billing options that can adhere to split, single or consolidated requirements. Advances and payouts can be adjusted to the final bill which can be settled in convenient modes. WinHMS Sales and Marketing maintains foolproof customer contacts based on demography, company nationality, and sales head. It supports sales management through search and review of leads, account history, tracking opportunities and schedules appointments for marketing personnel. The package manages marketing and promotion campaigns and facilitates bulk e-mailing.